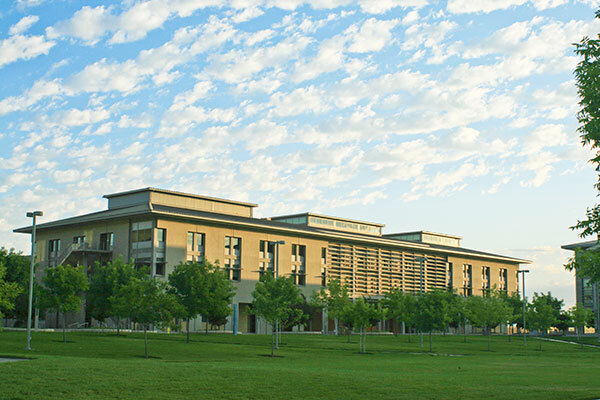 UC Merced’s Classroom and Office Building (COB) has achieved a silver rating from the LEED Building Operations and Maintenance (O+M) sustainability program, the campus’s first certification to come from the LEED Lab Engineering Service Learning class. The LEED Lab is a multidisciplinary, hands-on course offered to undergraduate students who are interested in sustainable design and operations, and is taught through the Engineering Service Learning course. The campus piloted the class in Spring 2015 and it’s now in its fourth semester. The one-unit class gives students from all majors the opportunity to assess the performance of existing campus facilities. The class chooses one building each year and facilitates the certification process for the U.S. Green Building Council’s LEED O+M program. 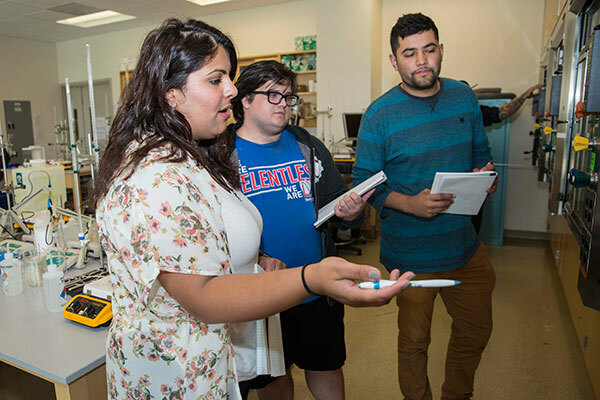 The class meets two hours a week with Maxwell and Assistant Director of Engineering Service Learning Chris Butler to learn how UC Merced’s buildings are designed and maintained. Mechanical engineering major Andrew De Los Santos was the project manager for the class’s opening semester and is credited for developing a two-page document for each credit on the LEED O+M certification scorecard. He spent time setting up the systems that are still in place and gained exposure to sustainable building and operations that led to him earning LEED Green Associate accreditation in January 2017. 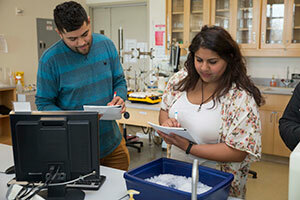 Moses Chun, who graduated in May 2016 with a bachelor’s degree in materials science and engineering, took the LEED Lab class his last semester at UC Merced. The following semester, Chun and his team began a top-to-bottom audit of the 103,000-square-foot building, including measuring heating, lighting and what was used to clean the building. The class carried out the bulk of the day-to-day work and Maxwell reviewed and submitted the LEED O+M certification application in October 2015. The process took about a year. The goal of the certification is to make sure a building operates in an environmentally friendly manner by encouraging owners and occupants to implement sustainable practices and improve operating efficiencies. The Leo and Dottie Kolligian Library was the first campus building to receive the operations and maintenance certification, which was submitted by Facilities Management and earned a gold certification in 2015. “The certification demonstrates that we’re operating the campus in a sustainable manner; the same way that we build,” Maxwell said. This semester, the LEED Lab team is working on certification for the Science and Engineering Building. As the current project manager, student Stephen Schug is learning skills that he is able to apply now and in the future.